Rita Moreno’s performance of the Eddie Cooley-John Davenport composition “Fever” isn’t just one of the best segments of The Muppet Show—it’s one of the best of the best segments of any TV variety show ever. That’s hyperbolizing a bit—which undercuts the subtle wit and charm of the segment, I realize—but I think it truly deserves to recognized as a classic of the genre. Jim Henson expended great energy toward making sure that his creations were never marginalized as “kid’s stuff,” and Moreno’s collaboration with Animal and Floyd on “Fever” is the type of generation-spanning comedic piece that breaks The Muppet Show out of the kiddie-show ghetto. It’s punchline is one of broad slapstick—Moreno, increasingly frustrated with Animal’s insistent pounding, responds by crashing a pair of cymbals on the character’s head—but that belies the nuanced humor and the sizzling undercurrent of Moreno’s delivery. Clocking in at just under two minutes, it’s one of the simplest, to-the-point achievements of these early episodes of The Muppet Show. 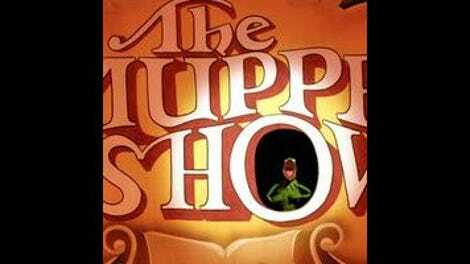 What makes a classic Muppet Show segment? It requires a timelessness, which “Fever”—in spite of the very 1970s way in which Moreno is styled—has in spades. It requires a dose of chaos, which Animal brings to nearly anything in which he appears. A comedic conceit isn’t 100 percent necessary, but it certainly doesn’t hurt. If the segment features the episode’s guest star, a measure of comfort and naturalness among the puppets is a must—something which Moreno shares with the other guest under consideration this week, Ruth Buzzi. Above all, the personality of the featured Muppet characters should drive the segment. “Fever” is the quintessential showcase for Animal, a character we’ve seen previously, but with whom we only start getting acquainted during Buzzi and Moreno’s episodes. He’s a force of nature, a wrecking ball behind the drum kit who really only aims to please. And isn’t that really the goal of every character on The Muppet Show? Especially during this first season, when the Muppet performers worked so hard to break through the general indifference that relegated them to the fringes of the television world in the past. I’d go so far as to say that Animal doesn’t pound over Moreno’s vocals because he’s trying to annoy her—he’s just trying to impress her. After all, he reacts to his cymbal bashing not with anger, but in ecstasy. “That my kind of woman” he tells the audience—and “Fever” is my kind of The Muppet Show. “With our very special guest”: As if to say, “Yeah, sometimes The Muppet Show is just Laugh-In with puppets,” Laugh-In vet Ruth Buzzi bridges the two shows in this early episode. She made her name doing shticky, zippy stuff on that pioneering sketch program, so she fits right in on a version of The Muppet Show that’s still standing on a platform built by Buzzi and her Laugh-In colleagues. Her fearless physical comedy and rubbery face help Buzzi blend in perfectly with the Muppets—perhaps no one other than Peter Sellers does as good a job as she does at appearing to be the human equivalent of the show’s repertory cast. Buzzi bounds about during her duet with Sweetums and shows off her yoga skills during the “Panel Discussion”—the latter of which finds her made up to resemble Sam The Eagle. Buzzi’s a natural with Muppets—so much so that she’d eventually settle into a regular role as the owner of a second-hand store on Sesame Street. “The most sensational, inspirational, celebrational”: Buzzi’s best bit comes in a interrogation sketch that feels straight out of Laugh-In. Responding to the threat that her interrogators have ways of making her talk, Buzzi’s prisoner character gives them more information than they could ever require about her regiment: The names of commanding officers, their alma maters, what they worked before they were in the armed forces, etc. It’s a great sketch that shows you don’t need much set dressing to establish this kind of scene—some insinuating shadows, a bare lightbulb, and an olive-drab wardrobe will do just fine. I like the episode’s backstage runner a lot as well—it’s a better indication of where the show would take these scenes after Jerry Juhl took over the position of head writer. In this episode, Scooter purchases a “mechanical, wind-up TV show host” which turns out to be a dead ringer for Kermit—if not for the giant crank key sticking out of its back. The clockwork frog wreaks a minimal amount of havoc, eventually meddling in Piggy and Kermit’s relationship by whispering sweet (and then apparently not-so-sweet) nothings in the pig’s ear. Eventually, however, it’s the real Kermit who feels the brunt of Piggy’s aggression, further proving that while the Henson Creature Shop could produce Kermit substitutes, nothing takes a karate chop like the genuine article. “It’s like a kind of torture to have to watch the show”: Oof, the talking houses. One of the many gag-delivery devices chucked between the first and second seasons of The Muppet Show, these joke-telling domiciles are neat in concept, but deadly unfunny in execution. At least the segments only last for a single setup and punchline. “It’s time to play the music”: It’s been mentioned in the comments that Keith Moon was the Muppet designers’ main inspiration for Animal, but according to the ever-helpful Muppet Wiki, there’s nothing in Jim Henson’s original sketches of the character to suggest that he had a real-life analog. But we can extrapolate from the way in which Animal’s manic drumming style pushes The Electric Mayhem’s cover of Bobby Hebb’s “Sunny” to swifter and swifter tempos that someone had The Who’s so-called “lead drummer” in mind when this episode was in production. Wayne And Wanda actually make it into the DVD copy of the episode—and they make it surprisingly far through “Row, Row, Row” here. Of course, it’s all a big fake-out, as [spoiler alert] the prop boat they’re riding in eventually sinks. “It’s time to raise the curtain”: While the Muppet performers are great at making pieces of felt and fur look alive, they’re also adept at making puppets looking artificially alive. The wind-up Kermit has a fun little hitch in his step which distinguishes him from his lookalike, one that effectively sells the notion that there’s a bunch of gears inside him, rather than someone’s hand. “It’s time to meet The Muppets”: Sweetums is all over this week’s episodes, making his Muppet Show debut as the intended recipient of Buzzi’s take on Frankie Valli’s “Can’t Take My Eyes Off Of You.” He’s yet to take on a personality separate from the hulking brute introduced in the 1971 Tales From Muppetland special The Frog Prince, but that suits him just fine for the brawl that eventually threatens to derail the song. As a preview of the big softy he’d later become, Buzzi ends up the winning their fight. “It all ends in one of two ways”: There are a few places where characters could’ve introduced an explosion into a scene, but nothing—not even the mechanical, wind-up TV host—blows up. Nobody’s eaten, either, which just goes to show that Henson knew how to end a scene without his old standbys: Sometimes characters can just pratfall (as the Blue Frackle does at the end of “At The Dance”) or suffer bodily harm beyond an explosion (as Statler does when Animal helps him “stretch out” his legs). “With our very special guest”: I spent a lot of space above getting into how great Moreno is in her Muppet Show appearance, but it bears reiterating: She’s the star of the first truly excellent episode of the show. And a lot of that credit goes to her interactions with the show’s cast, which are remarkably natural. Of course, you don’t get an EGOT for acting stiff around puppets, and it was her work here which earned Moreno that distinction, bringing her the 1977 Emmy in the tongue-tying category of Outstanding Continuing or Single Performance by a Supporting Actress in Variety or Music. “It’s like a kind of torture to have to watch the show”: If I have to criticize one element of the episode, it’s Fozzie’s runner with the phone, which stays one or two beats beyond its welcome. I wholeheartedly support Animal’s decision to rip the thing off the wall before the closing number. “It’s time to play the music”: The episode’s U.K. spot is more notable for its characters than the Kingston Trio song they play. Originally created for a 1972 Perry Como special, The Country Trio each represents a Muppet version of one of the core Muppet performers: The banjo player is Jim Henson, the guitarist is Jerry Nelson, and the bassist is Frank Oz. It’s obvious to us now that the bearded banjoist is Henson, but I have to wonder whether or not the original viewers of The Muppet Show were familiar enough with the man to spot the physical similarities between puppet and puppeteer. “It’s time to raise the curtain”: Moreno’s dance routine to “I Get Ideas” is surprisingly sultry for The Muppet Show, and the fact that she was able to keep that up over what must’ve been several breaks to get her dancing partner in and out of costume is cause enough to give her the Emmy. But in spite of all those breaks, the segment appears seamless in its final version, as if there were several dancers standing by to jump into the costume whenever Moreno’s character tosses it boyfriend aside. “It’s time to meet The Muppets”: Direct from a bus station in Toledo, Ohio: Marvin Suggs and his Muppaphone. The ultimate in Muppet-y slapstick, Marvin Suggs and his unique instrument would be too sadistic in concept to make it past standards and practices today—but in the go-go ’70s, it was perfectly fine for a family program like The Muppet Show to feature a character who made music by pounding sentient pom-pons with a mallet. It’s a cruel, cruel joke, but the Muppaphone always gets one up on its handler: Here, his exacting standards and abusive behavior toward one end of the instrument are met with a giant mallet straight out of Monty Python’s Flying Circus. “It all ends in one of two ways”: Only one explosion—sent down the phone line courtesy of the Atomic Energy Commission—and one implied character consumption: The ballet-dancing chicken described in the first Muppet Newsflash, who meets her untimely end at the hands of her wife’s owner.